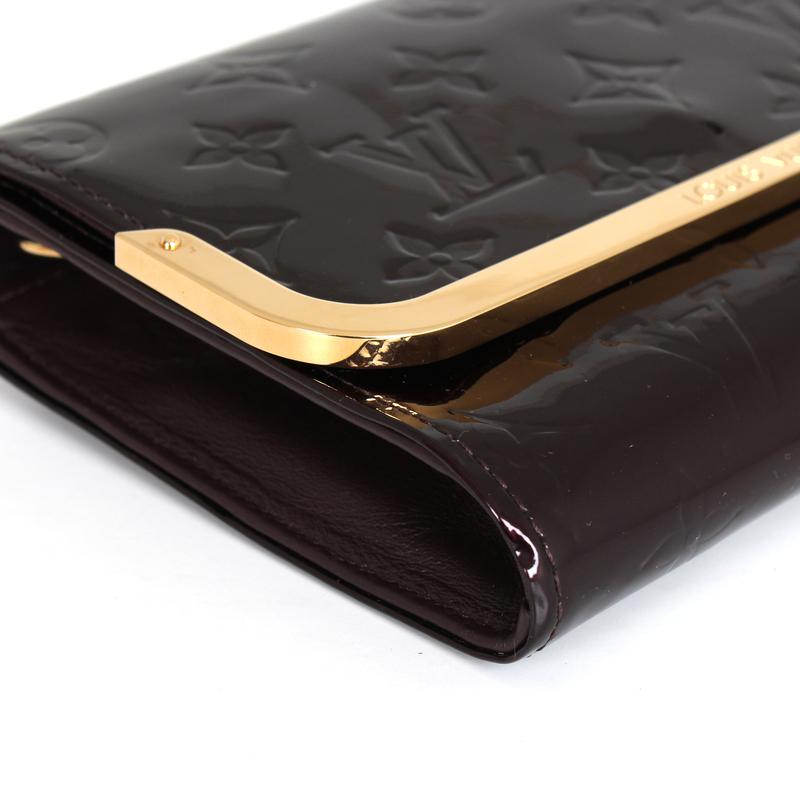 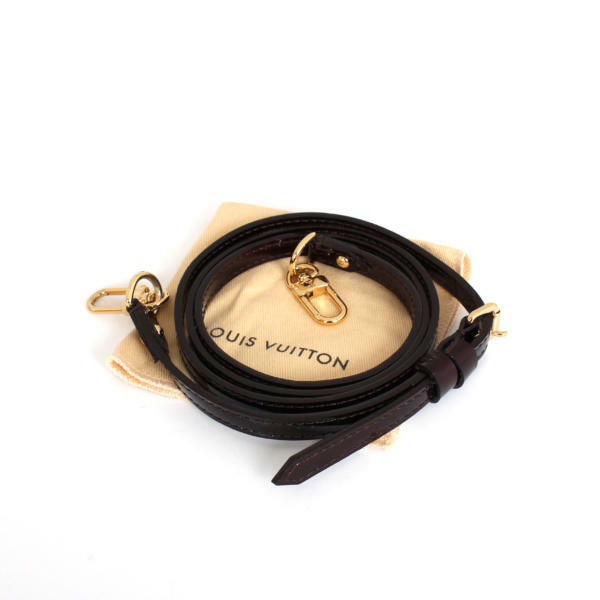 In small size, this Louis Vuitton bag is ideal to carry all your essentials in any outing. 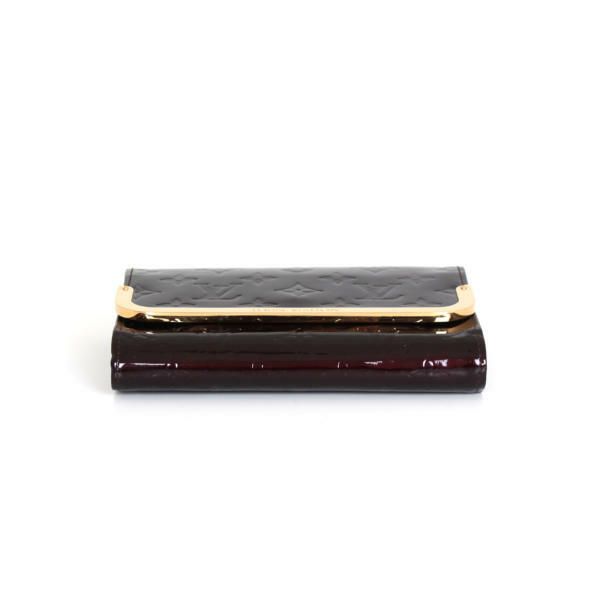 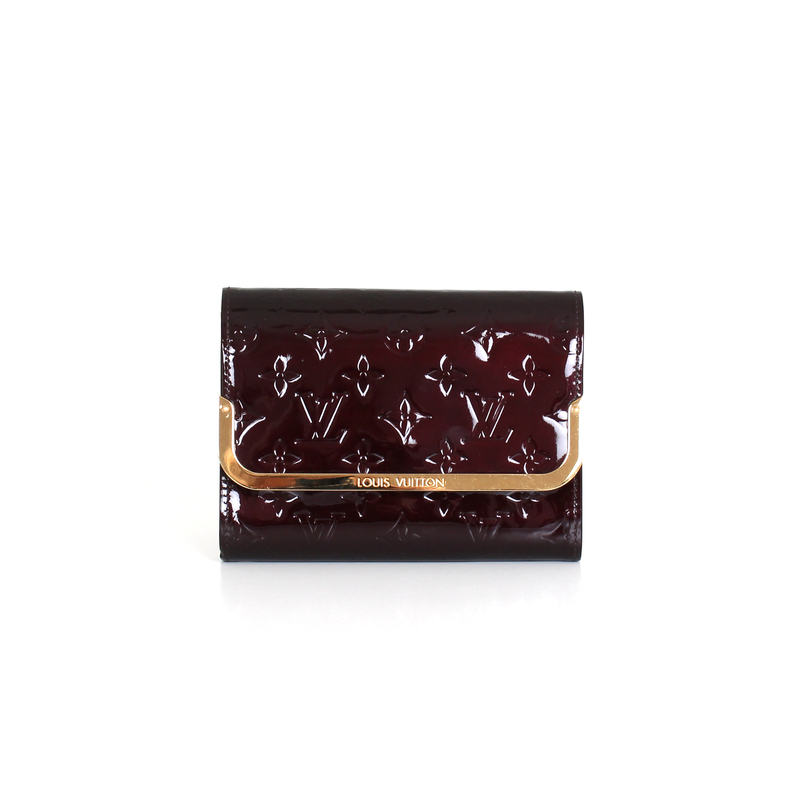 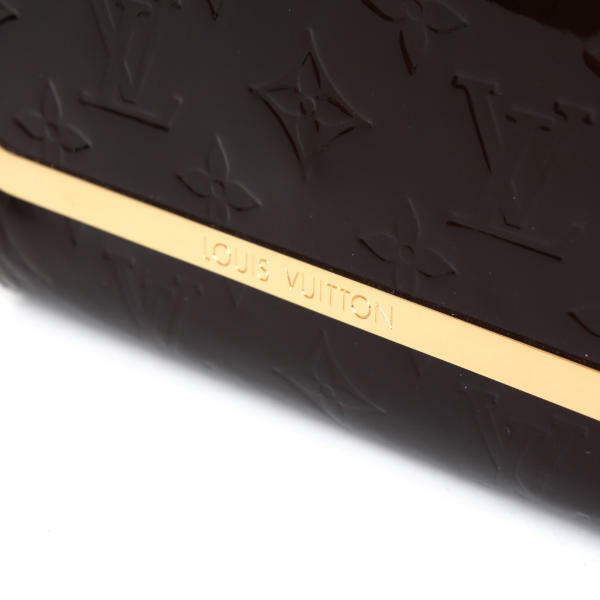 This Louis Vuiton handbag Rossmore PM is made in Vernis color Amarante leather, whith the classic monogram of the firm in low-relief; its varnish combines perfectly with the brass fittings in a golden tone. 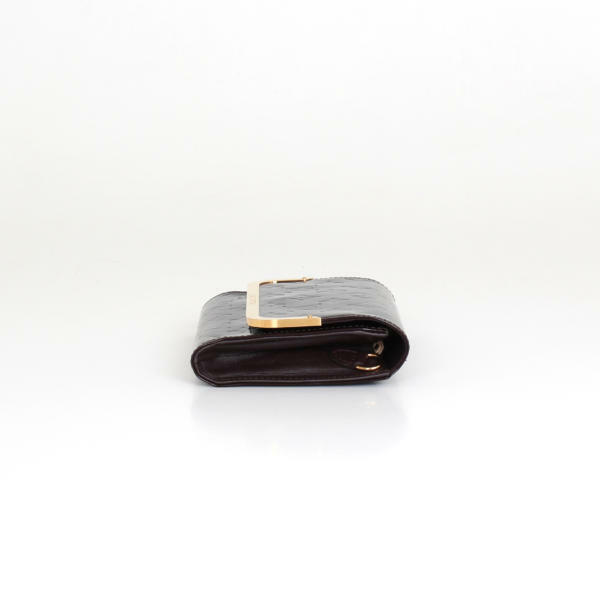 A front flap with magnetic closure gives space to an interior made in brown which has a pocket that closes with zip and some slots for cards. 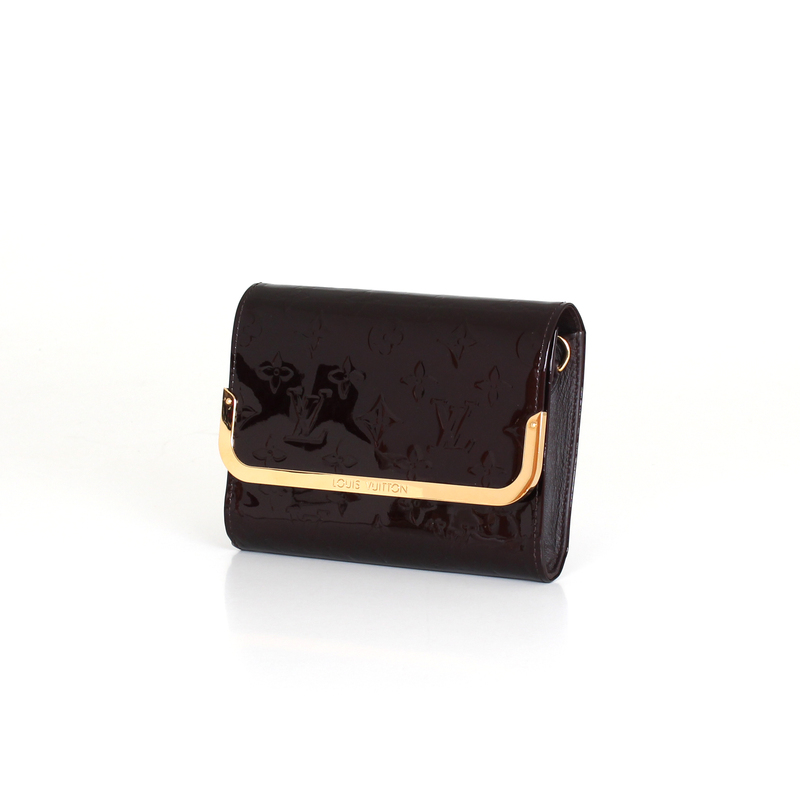 It can be carried in the hand as an envelope or shoulder thanks to its shoulder strap. 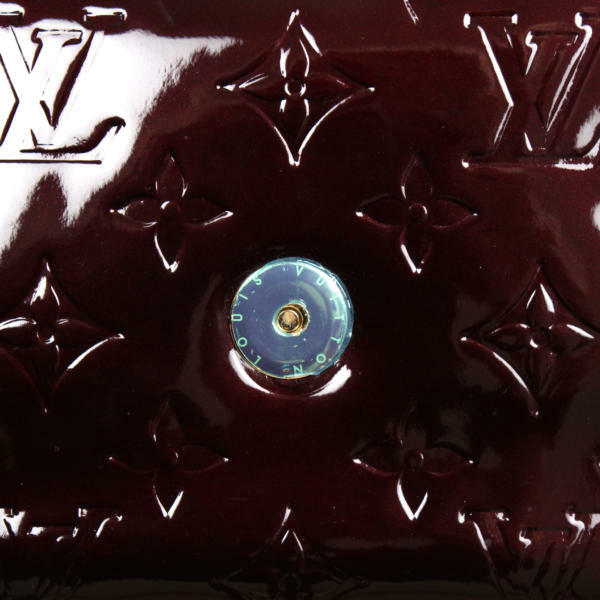 This luxury bag Louis Vuitton is in very good condition with some soft markings on hardware and interior. 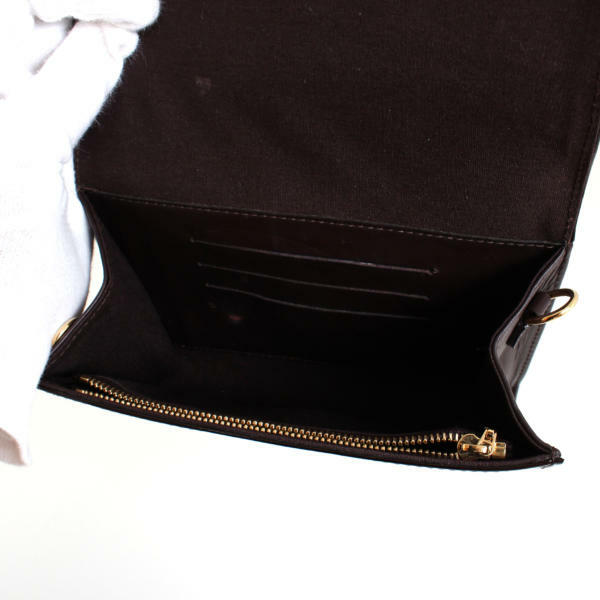 Preserves some protective plastics, dust cover, shoulder strap and cloth. In CBL Bags we are experts in buying luxury handbags like Louis Vuiton handbags . 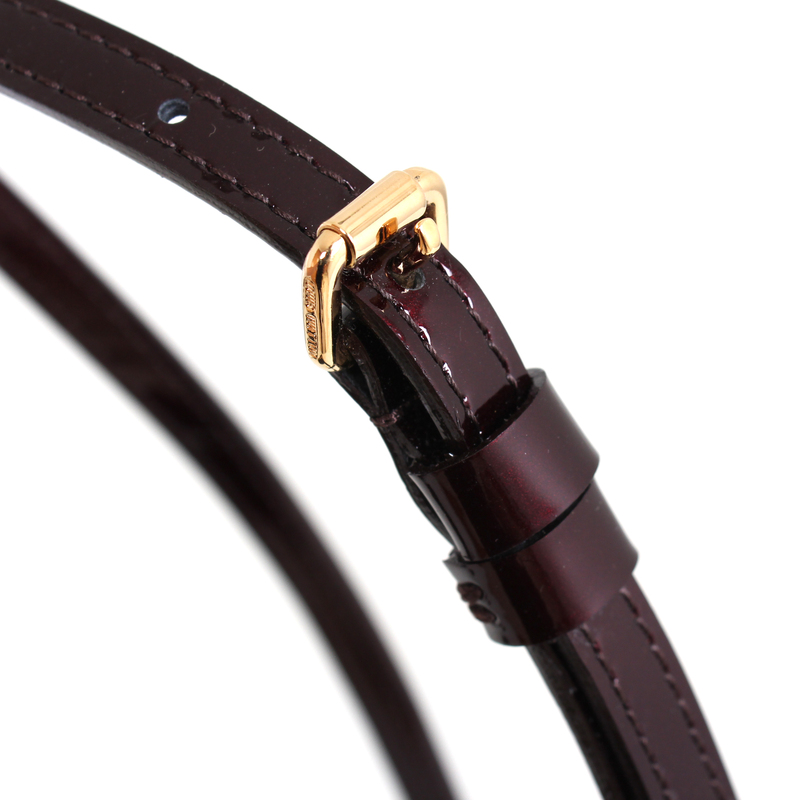 Details: Very soft marks on interior leather and hardware. It still has some protective plastics on the snap.